Damn ... so this is the way to use those leds ? I have some in the city sets & I was wondering by now "how to use it ?". Like most of the modular pieces people are using them in many different ways. When I designed them based off of Stefan's sketch the original usage was derived from requests for a way to represent a miniature carrying a torch since it can play a significant role in some people's gaming play style. I rather enjoy seeing the piece that Stefan and I came up with being used in ways beyond what was originally intended. Other's usage may vary from 'no use at all' to beyond even my imagination, and that's perfectly fine. We're gamers who use our imaginations so I say let your imagination fly! I keep asking for these too. 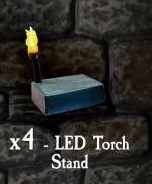 How about a slightly cheaper pack to combine them with then like you did with the necromancer wall pack? I really want those but not that pack for 100$. Please sell them separately in a set of five. I asked about this possibility ... unfortunately, it isn't exactly a possibility at this time. A set of 5 of these would likely end up costing much more than what the average customer would want to pay for them. You can always email us at dwarvenforgeinfo@gmail.com to see if we can help ... we don't usually sell individual pieces, but if we can get them, we will. Thanks for the suggestion. It's a good one ... unfortunately, not cost effective for everyone! 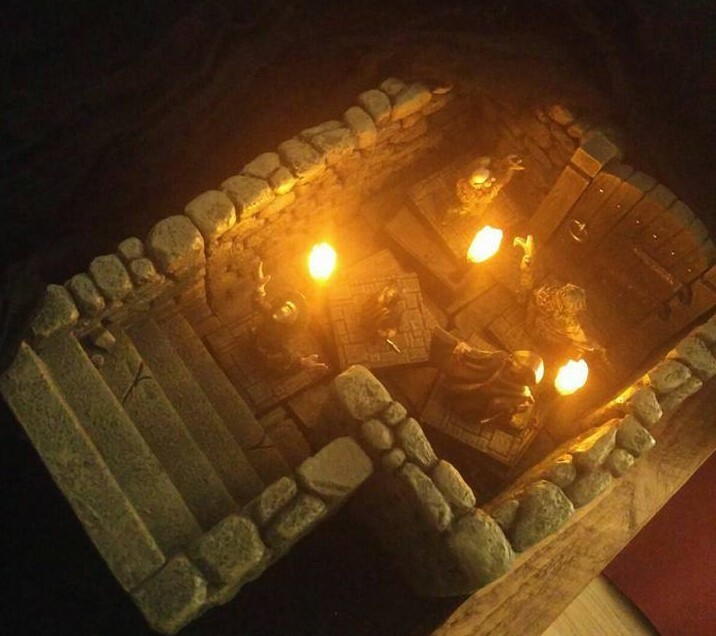 Yeah, really great atmosphere in that picture - I can almost feel the trepidation and excitement the adventurers must feel at standing before that door to the dungeon! It is from last friday, I ran a Pathfinder Dungeon Crawl One-shot. Those are full of win !